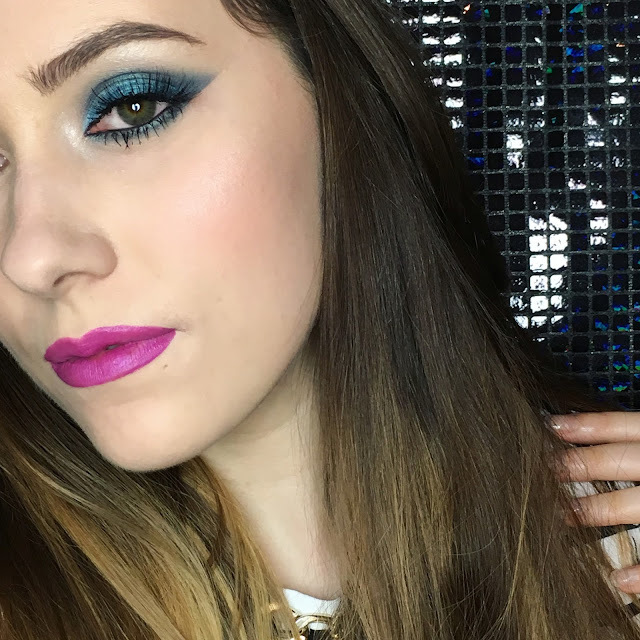 I had a lot of fun creating this look, I used on three colours as I wanted it too be completely cool toned. It took a long time blending, as I used Peacock which is a matte true teal colour as a transition shade, but I am so happy with the result. Although I have finally declared my primer search officially over, I had bought this before my beloved Nivea Men Sensitive Post Shave Balm. Since I have been sticking to my skin care routine religiously my skin has become so much better, the oiliness has vastly reduced and I can go without powdering the vast majority of my face, and achieving a natural lit from within look, so I decided to try a dewier primer. The primer is a light weight, gel like formula which once applied to the skin absorbs extremely easily. 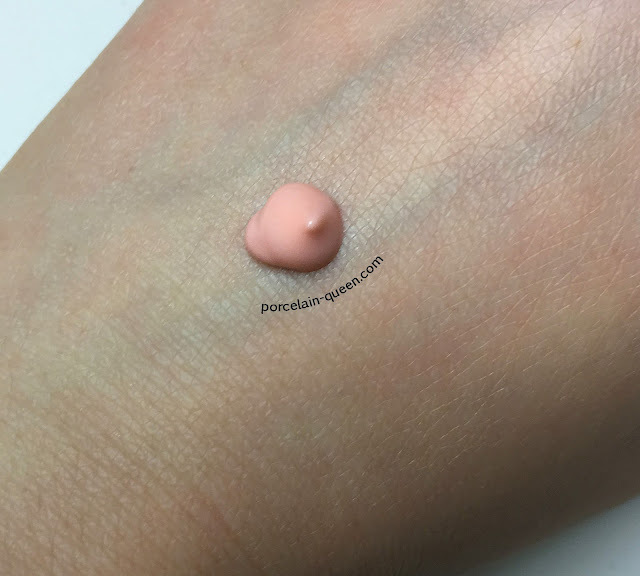 Although pastel peach in colour the primer offers no coverage, it also contains no shimmer or metallic particles. Once applied my skin did look more radiant and glowy, however on reflection, it looked no different to if I had applied a regular moisturiser. My foundation did smooth on and buff into my skin easily, and it did have the much sought after lit from within appearance. I noticed however after around 2-3 hours of wear my skin looked oily especially around my forehead, nose and chin. After several hours my foundation had started to split and break apart, again in those three areas. Sadly this primer does nothing for my combination skin, but I am sure it would be ideal for someone with drier skin than mine, as the extra moisture boost would be greatly appreciated. 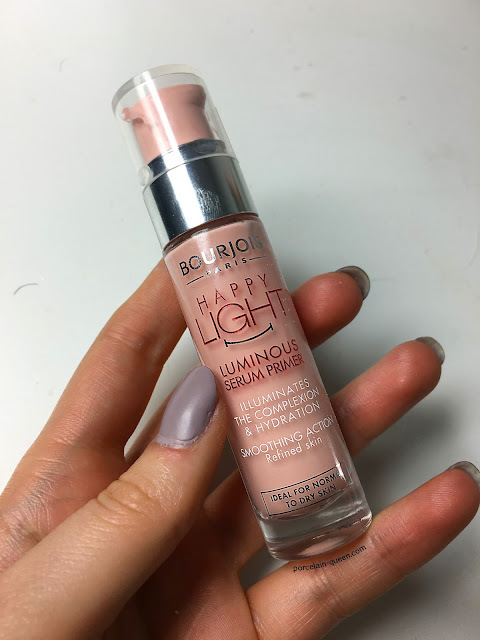 It is a shame it didn't work with my skin type as I love the happy light foundation. Has anyone else tried this foundation? 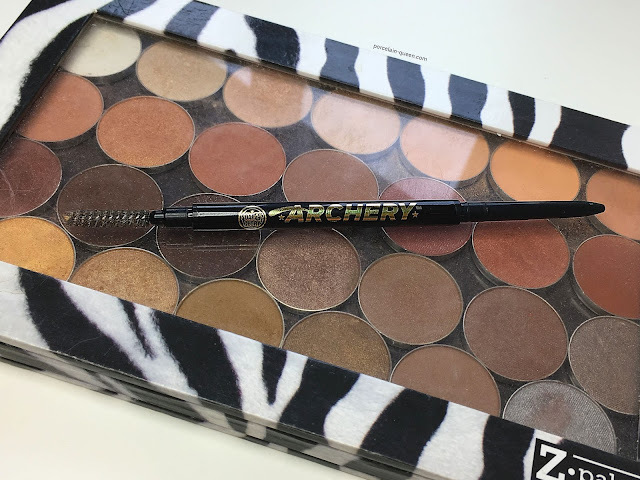 I was in Boots recently and I noticed that Soap & Glory had released a new style Brow Archery. I had a quick look with the intention of not purchasing it, as their original was such a let down for me. But when I actually looked at the product and the shade range I noticed it was a rival for the Anastasia Beverly Hills Brow Wiz. I had a quick swatch and found my shade in 'Hot Chocolate', a dark cool toned brown, which, from memory looked a lot like my Medium Brow Brow Wiz. The black packaging is slim line and sleek, with gold accent lettering, much more chic compared to the bulky, clumsy original Brow Archery. 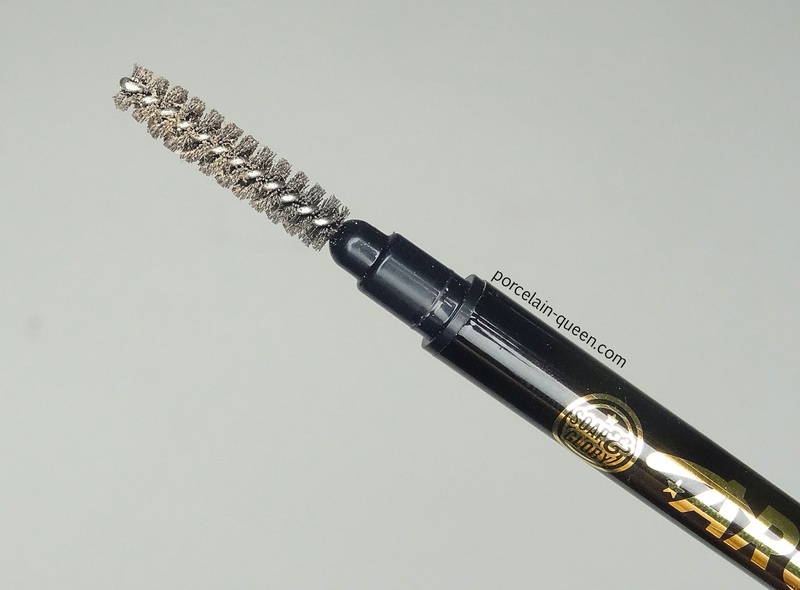 Soap and Glory have ditched the felt tip pen applicator, and replaced it with a mini spoolie, which is extremely handy, and should be the norm for all brow pencils. The other end is a twist up applicator making sharpening a thing of the past. 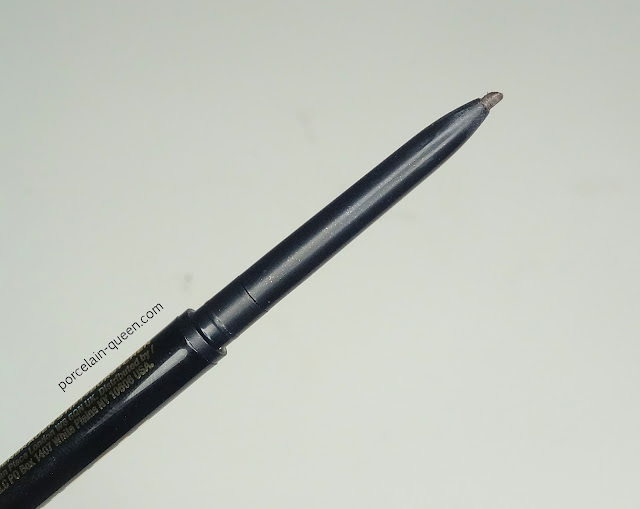 The product itself is very hard, which is what I prefer in a brow pencil, as it makes the placement more precise, and the colour pay off more intense. The pencil is extremely thin, literally a few millimetres thick, which makes creating faux brow hairs and a defined brow arch fool proof. The shade choice is limited, you better hope you suit one of the limited three shades, luckily 'Hot Chocolate' suits my brows perfectly. The price point doesn't disappoint, at £8 this product is an absolute steal. I 100% recommend this product, I really cannot think of a single negative thing to say. The new and revamped 'Archery' is on my repurchase list, and I will continue to use for the foreseeable. 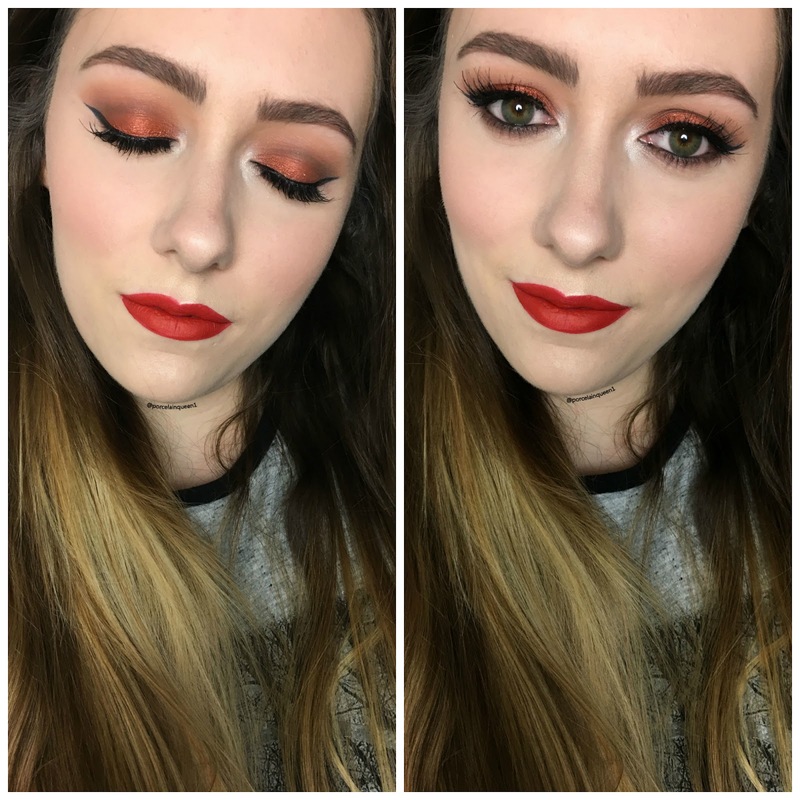 It's so hard to fit every single product used in the Instagram caption section, so I thought I would share one of my favourite makeup looks of the week on my blog and share every single product used to create the look. For someone with a thick pair of brows, a good quality setting gel is an absolute must, a spritz of hairspray on a spoolie just wont cut it. I was in my local shopping centre and I notice a KIKO milano shop had opened, so naturally I sauntered in. If I'm being honest I didn't need a new brow gel, I had a couple on the go in my makeup stash, but for some reason or another I ended up purchasing it...whoops. I chose shade 'Deep Brunettes', this being the darkest next to black, it is a fraction too warm, however I never wear it alone so I can just about pull it off. The spoolie applicator is one of the biggest I have ever witnessed in a brow gel, so if you have thin eyebrows, or even thin brow hairs you will need an incredibly light hand. It is also a very basic spoolie design, think disposable mascara wand, which is a shame. 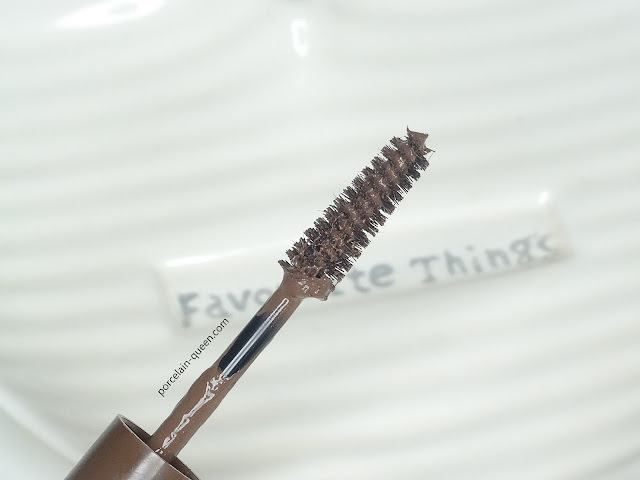 The product it's self is really good, I'm a fan of feathery brows and it does hold my hairs in gravity defining, obscure angles. For a firmer hold, which I prefer, I need two layers and I'm set for the whole day. 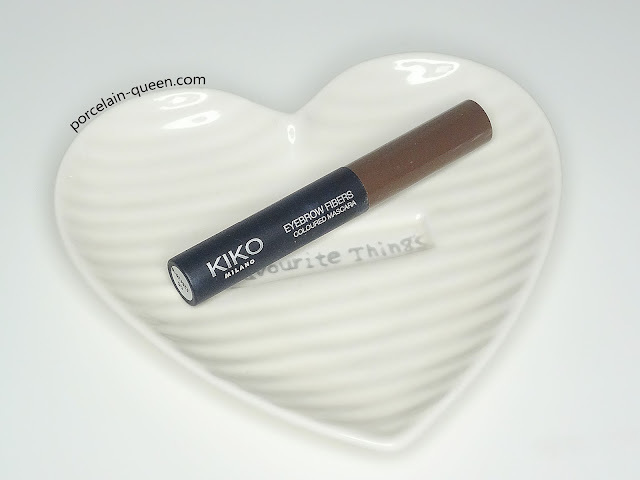 The consistency is very thin, so I don't understand why KIKO have branded this as 'Brow Fibres' because there isn't a single fibre in mine, as you can see from the above close up. For months now I have watched Nikkie Tutorials subsitute primer for the Nivea Men Post Shave Balm, as constantly sing it's praises. Then one by one other YouTuber's I subscribe to started to use it, so I got to thinking, does it really work? The rationale behind using this product as a primer is quite simple and all down to one ingredient, glycerin. Glycerin is a sticky product which will bind with the makeup you apply directly on top of it, it also draws water from the atmosphere so is super moisturising. A little goes a long way with this product, I dip my little finger tip into the bottle, and that small amount is enough for my entire face. Once applied gently massage it into your skin until it becomes slightly tacky, trust me you'll know when your there. Once you start applying your foundation, you'll notice how smoothly it applies, and how little blending you need to do. After several hours my skin looks healthy, fresh and is visibly plumper, thanks to that extra moisture, but like magic it isn't oily, and hasn't started to separate. I picked a bottle up from Superdrug for a surprising £5.29, I don't know what I expected to pay, but compared to my usual £25.50 Smashbox Primer I felt like I was stealing it. 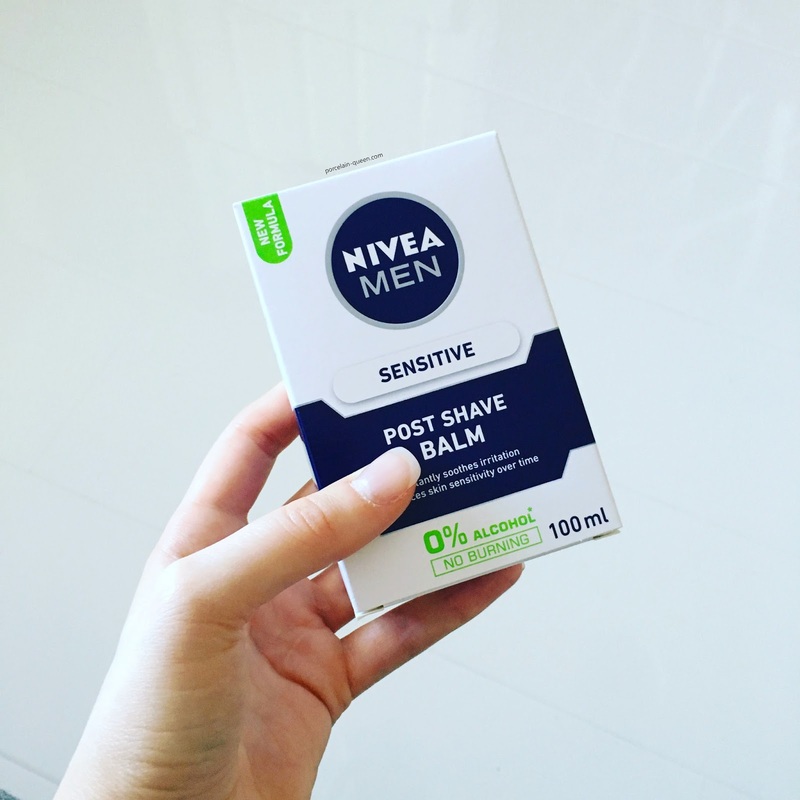 Compared to a normal primer which contains around 30ml, the Nivea Men Post Shave Balm contains 100ml of product, which will keep you going for months. I feel like my search for the perfect primer has come to an end, and I can save myself so much money. 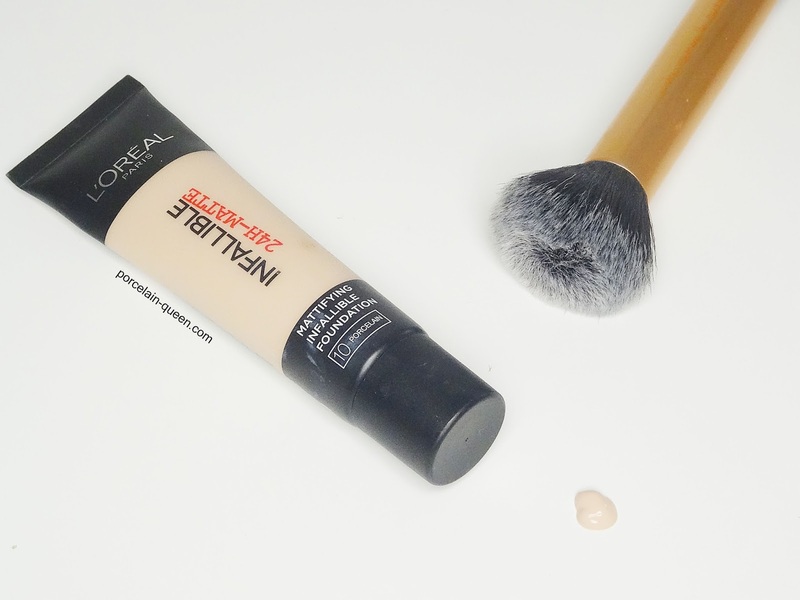 Have you tried this product as a primer? After hearing so much beauty buzz surrounding this foundation, I thought I would give it a whirl myself. I can honestly hold my hands up and say that as I have got older I have gotten consistently better at looking after my skin, and one thing this foundation has made me realise is my skin is no where near as oily as what it used to be. On first application I thought this foundation was difficult to work with, it took a hell of a lot of blending, and even then my face resembled a badly glossed door. My face felt physically tight, and itchy, and in dire need of a thick layer of moisturiser. But I stuck with it and wore it for an entire night shift at work, so it would have been on my face for around 15 hours. By the time the morning came I took a good long look at my face under hideous fluorescent lighting, and I was horrified at how I looked. The foundation had separated on my face, especially on my nose and chin, and my forehead was a layer of dry, flaky skin. Not one to give in so easily, I skipped setting powder the next time I wore it, and it was exactly the same, so this time I washed my face and switched to my beloved True Match. I gave myself and my skin a break, and tried again, but this time mixing it with my True Match to see if that would help, and low and behold, I created myself the perfect foundation. The thinness of True Match reduced the thick, cake like look of Infallible, and made it a lovely full coverage foundation. I have also mixed it with several liquid highlighters to give it a less lacklustre appearance on the skin. This foundation is thick and heavy duty, and made for someone with more oily skin then I. It is very hard to work with, and admittedly I never tried it with a beauty sponge, but that could be a better way to apply. For all the negatives about this foundation, I will end on a positive and say I adore the packaging style, the squeeze tube makes it so easy to get out, and means you'll be able to use every last drop. Over Christmas and New Year I was ill and unable to take advantage of the huge in-store savings and sales, but Sinusitis did not stop me from ordering a few purchases online, the Clarisonic Aria being one of them. I have wanted one of these babies for a while, but I always knew they were extremely pricey, but with the mammoth savings I managed to snap one up for a fraction of the price. After an hour or so scouring every beauty website know to man I managed to bag myself the 'Clarisonic Aria Winter Lace Kit' for £100, this included 2 free brush heads - bargain. If like me you do not mind what your Clarisonic looks like, you'll be able to bag yourself a ex-limited edition colour for a fraction of the price. But to be quite honest I love the silver snow flake pattern and it matches my bathroom - bonus. I have used this little beauty twice a week for 2 months, and I have noticed a vast improvement in the texture of my skin. The larger pores and textured area surrounding my nose has markedly improved, and the patch of irritating flaky skin around my forehead is a thing of the past. I apply an exfoliating face mask, allow it to do it's magic and then wash it off with my Clarisonic. Afterwards I am left with skin so soft it rivals a new born babies. The Aria has 3 speed settings, and when used with the appropriate head, can be used on your body, this I haven't tried, as a shower puff is a lot cheaper and quicker in my opinion. I use mine on the fastest setting, and this has no issue breaking through a full face of makeup, or tackling a face mask. If I was to use it daily I would choose the lowest speed setting as not to irritate and strip the naturals oils from my skin. Who else has tried a Clarisonic?